Note blind arches. on the north elevation. This basilica style of church features clerestory windows which are not visible in this photo. 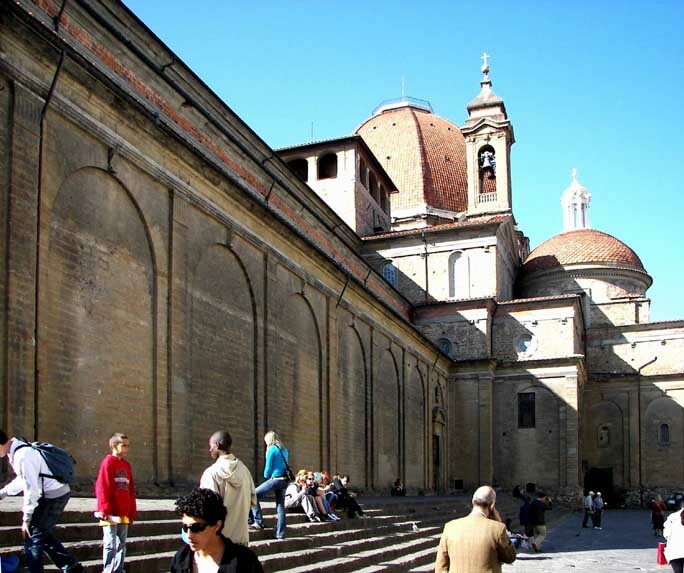 The tall Renaissance dome is the top of the Cappelle Medicee (Medici Chapels), the most celebrated and grandest part of San Lorenzo. Note the bell gable and the lantern crowning the round cupola.